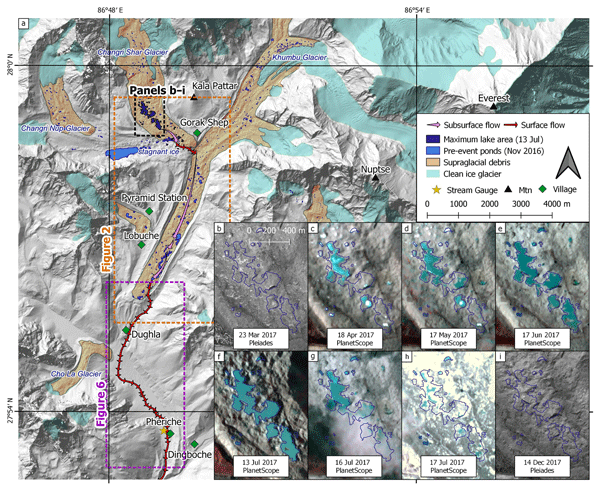 Ground-penetrating radar of supraglacial debris thickness is used to study local thickness variability. Freshly emergent debris cover appears to have higher skewness and kurtosis than more mature debris covers. 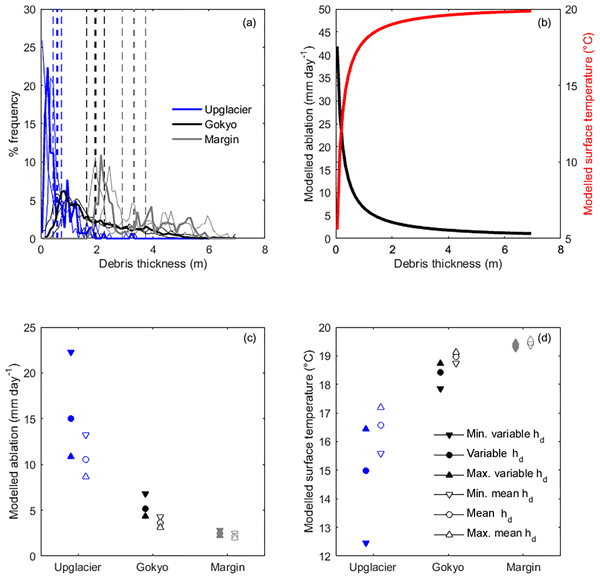 Accounting for debris thickness variability in ablation models can result in markedly different ice ablation than is calculated using the mean debris thickness. 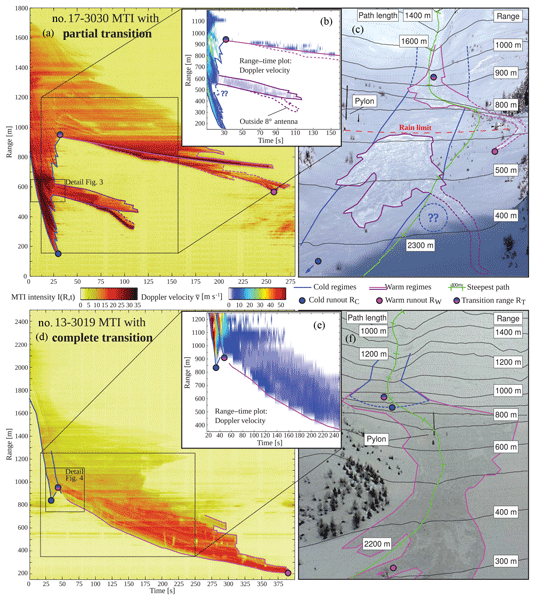 Slope stability modelling reveals likely locations for locally thin debris with high ablation. Snowfall observations over Antarctica are scarce and currently limited to information from the CloudSat satellite. 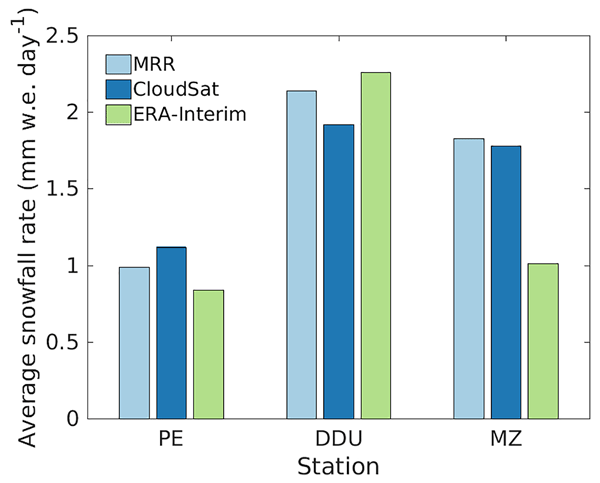 Here, a first evaluation of the CloudSat snowfall record is performed using observations of ground-based precipitation radars. 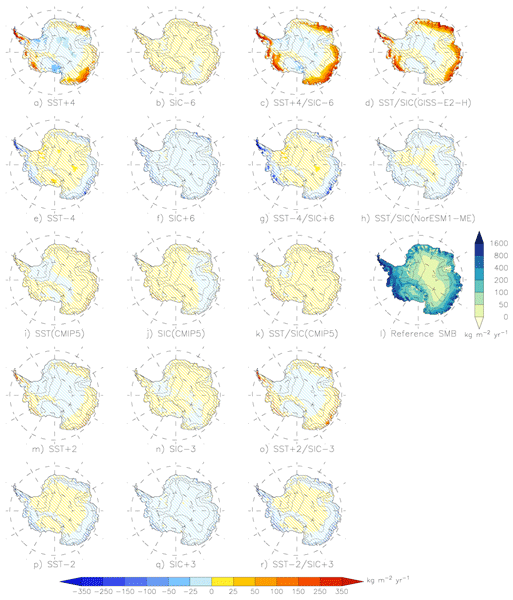 Results indicate an accurate representation of the snowfall climatology over Antarctica, despite the low overpass frequency of the satellite, outperforming state-of-the-art model estimates. Individual snowfall events are however not well represented. A high-resolution spatially lumped hydrologic surface routing model is proposed to simulate meltwater transport over bare ice surfaces. In an ice-covered catchment, meltwater is routed by slow interfluve flow (~10−3–10−4 m s−1) followed by fast open-channel flow (~10−1 m s−1). Seasonal evolution of supraglacial stream-river networks substantially alters the magnitude and timing of moulin discharge with implications for subglacial hydrology and ice dynamics. 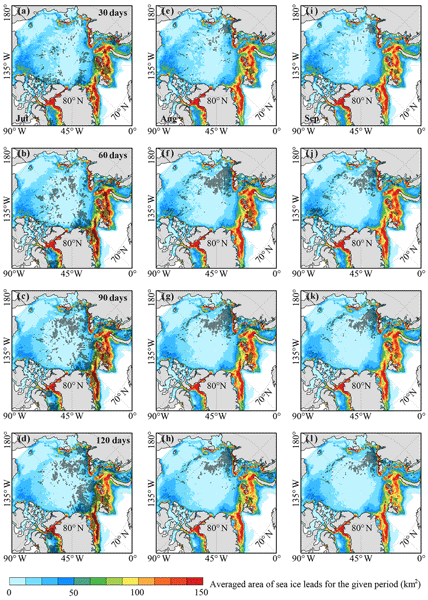 Regional climate models (RCMs) used to estimate the surface mass balance (SMB) of Antarctica depend on boundary forcing fields including sea surface conditions. 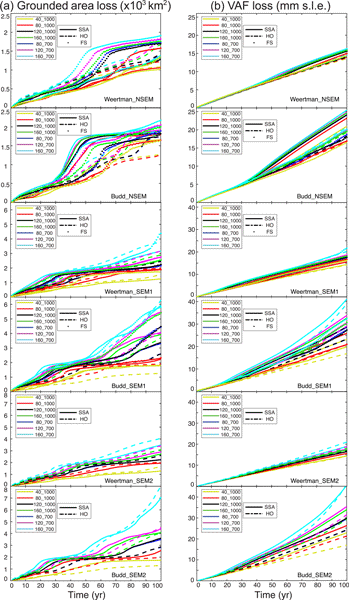 Here, we assess the sensitivity of the Antarctic SMB to perturbations in sea surface conditions with the RCM MAR using unchanged atmospheric conditions. 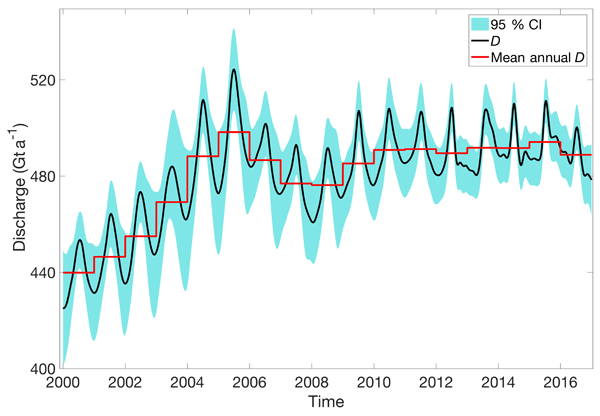 Significant SMB anomalies are found for SSC perturbations in the range of CMIP5 global climate model biases. When the porous compacted snow layers on an ice shelf extend below sea level, seawater is able to infiltrate onto the shelf. Here it can affect measurements of ice shelf thickness by changing the average density and affect iceberg calving if the seawater enters fractures. 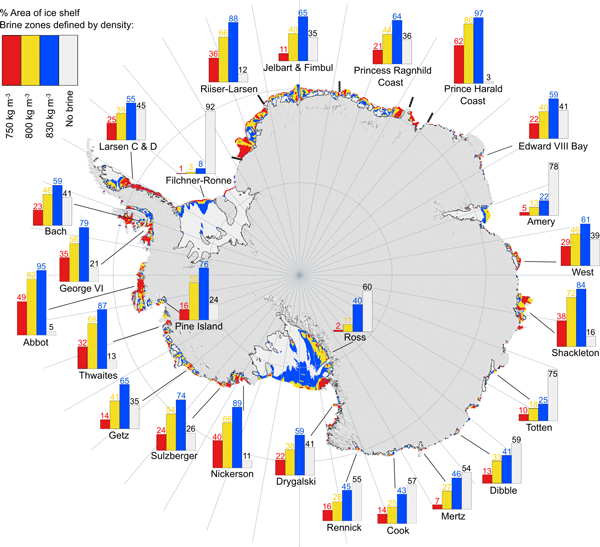 Seawater infiltration has only been directly observed in a few locations around Antarctica. Using continent-wide geometry and snow density data we show that it may be more widespread than previously realised. 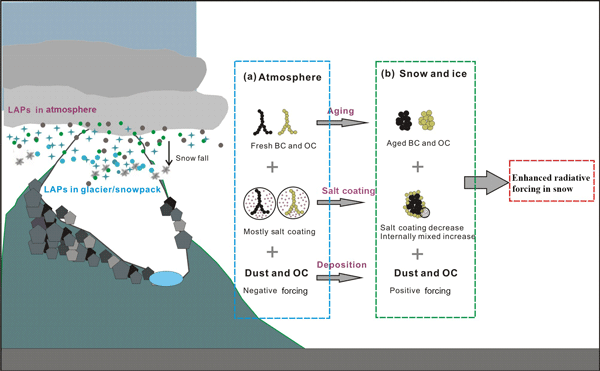 This study aimed to provide a first and unique record of physicochemical properties and mixing states of LAPs at the glacier and atmosphere interface over the northeastern Tibetan Plateau to determine the individual LAPs' structure aging and mixing state changes through the atmospheric deposition process from atmosphere to glacier–snowpack surface, thereby helping to characterize the LAPs' radiative forcing and climate effects in the cryosphere region. Floating ice tongues in Greenland buttress inland ice, and their removal could accelerate ice flow. Petermann Glacier recently lost large sections of its ice tongue, but there was little glacier acceleration. Here, we assess the impact of future calving events on ice speeds. We find that removing the lower portions of the ice tongue does not accelerate flow. However, future iceberg calving closer to the grounding line could accelerate ice flow and increase ice discharge and sea level rise. We present a new surface melt scheme for land ice. 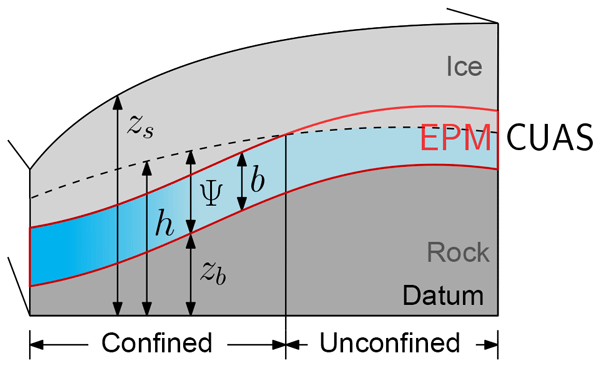 Derived from the energy balance of melting surfaces, the scheme may be particularly suitable for long ice-sheet simulations of past and future climates. It is computationally inexpensive and can be adapted to changes in the Earth's orbit and atmospheric composition. 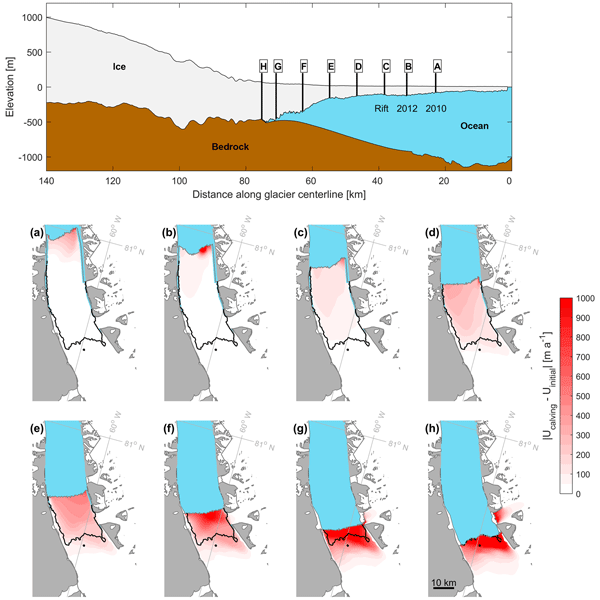 The scheme yields a better spatial representation of surface melt than common empirical schemes when applied to the Greenland Ice Sheet under present-day climate conditions. The evolution of subglacial channels below ice sheets is very important for the dynamics of glaciers as the water acts as a lubricant. We present a new numerical model (CUAS) that generalizes existing approaches by accounting for two different flow situations within a single porous medium layer: (1) a confined aquifer if sufficient water supply is available and (2) an unconfined aquifer, otherwise. The model is applied to artificial scenarios as well as to the Northeast Greenland Ice Stream. 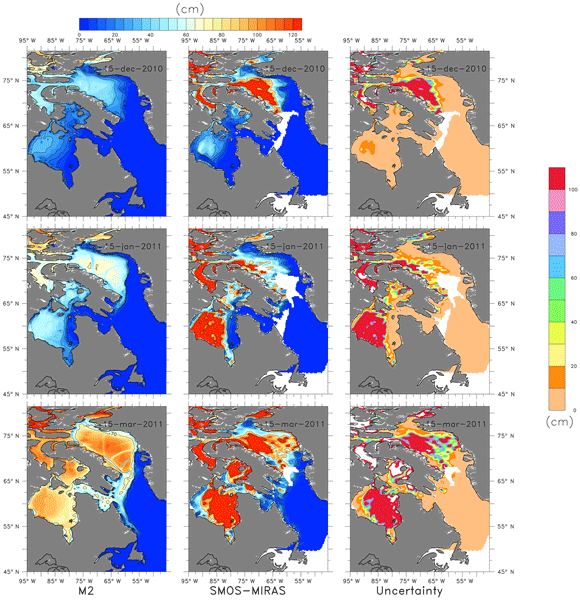 A numerical sea ice model, CICE, was used along with data assimilation to derive sea ice parameters in the region of Baffin Bay, Hudson Bay and Labrador Sea. 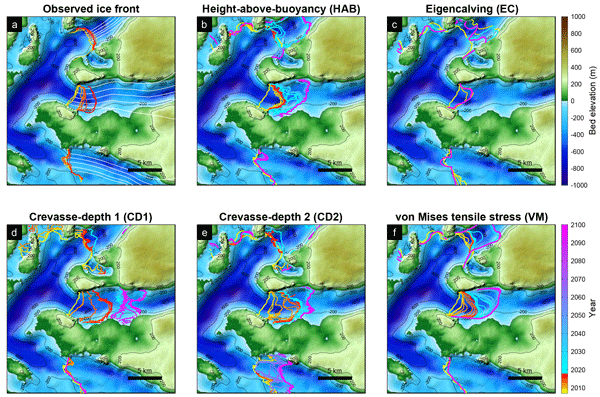 The modelled ice parameters were compared with parameters estimated from remote-sensing data. The ice concentration, thickness and freeboard estimates from the model assimilated with both ice concentration and SST were found to be within the uncertainty of the observations except during March.